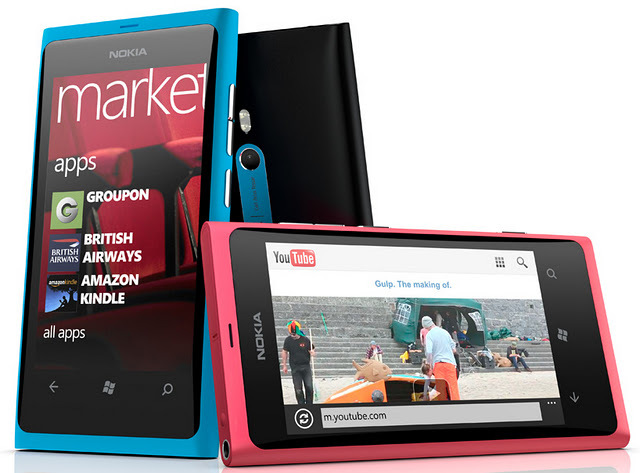 Nokia launched a new generation Lumia series smartphone called Nokia Lumia 800 in India. Nokia Lumia 800 powered by Microsoft Windows Phone 7.5 Mango OS with CPU of 1.4 GHz processor, Qualcomm MSM8255 chipset, 3D Graphics HW Accelerator. Nokia Lumia 800 has 8MP Carl Zeiss Camera with dual-LED flash and 3.7 inches AMOLED capacitive touchscreen display. Nokia Lumia 800 Key Features: Bright full touch screen display, 8MP camera, Audio Player, Music Player, FM Radio, 3.5mm Audio Jack, Touch Sensitive Controls, smooth single-piece body, 25GB Free Skydrive Space, Powerful processor, Long battery backup. It comes with 16GB inbuilt Memory with 512 MB RAM & 25GB Free Skydrive Space as well. It is available in Black, Cyan, Magenta Colors. The Nokia Lumia 800 Windows Touchscreen Phone is available in India for Rs. 28,000.